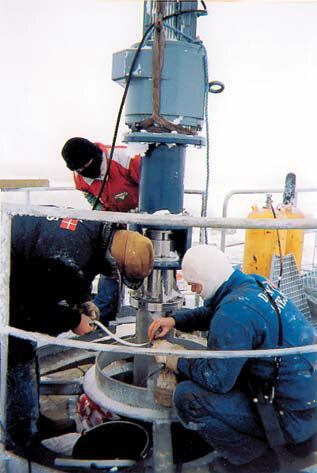 Mamec industrial agitator is ideal for demanding usage and mixing needs even in challenging conditions. All of their parts are a result of accurate product development, manufacturing and testing. Each Mamec industrial agitator is always be equipped with a agitator element according to the requirements of the process and your desire. You can choose between all known agitator elements: blades, propellers, dispersion discs, turbines, coils, spirals and special designs. In addition to the agitator itself, we offer our device-specific know-how for controlling the mixing process. 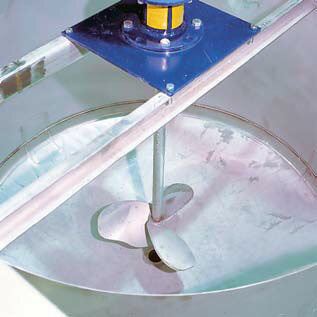 Mamec Vertical agitators are available with mixing guarantee. Our services include also optimizing the entire mixer system to be ready for use. This covers agitator installations and adjustments. The drive unit is always chosen based on accurate calculations. Our design department determines the required power, the load factor, secondary shaft diameters and critical rotation speeds. In addition we choose together with you the supplier of the appropriate drive unit. The smallest agitator we manufacture are in size of to be installed in small IBC container and the largest are nearly 30 meters long with a mixing body having a diameter of more than 10 meters. Rated power categories are from 0.18kW to over 200kW. 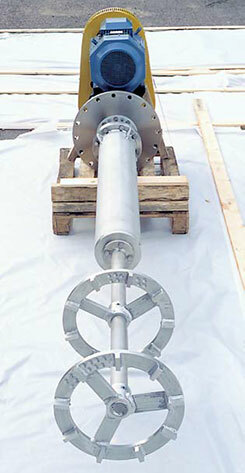 Industrial agitator is manufactured according to the customer’s specification. The height of the mixer blade is freely adjustable. If necessary, we will supply according to the customer’s requirements for example, with an oil trap, a mechanical seal, with packing seal depending how each application requires. In long shaft solutions it is often economical to use a separate support bearing. Mamec oy equips the manufactured vertical mixers with drive unit according to the customer’s specification. Our customer can choose as a solution a direct electric motor-, gear- or V-bet belt drive, and also air or hydraulic drive. We automatically calculate and case critical rotational speeds and the thickness of secondary axes Seal alternatives include lip-, labyrinth-, packing-, single and double acting mechanical seals and water seals. Numerous drive and sealing options increase the freedom to choose. 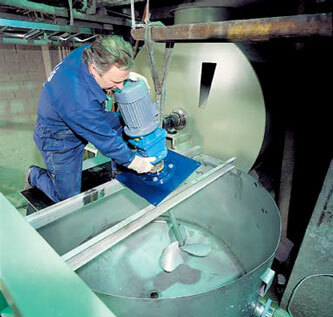 At the same time, we can make every mixer we have manufactured to serve the customer’s needs including details.